I went on this trip for school credit with the MBA program. 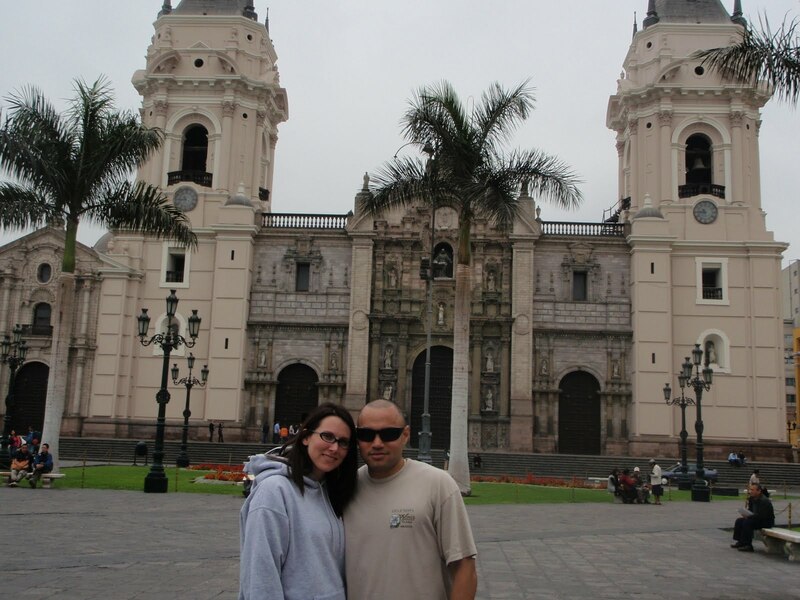 We spent the first part of our trip in Lima. 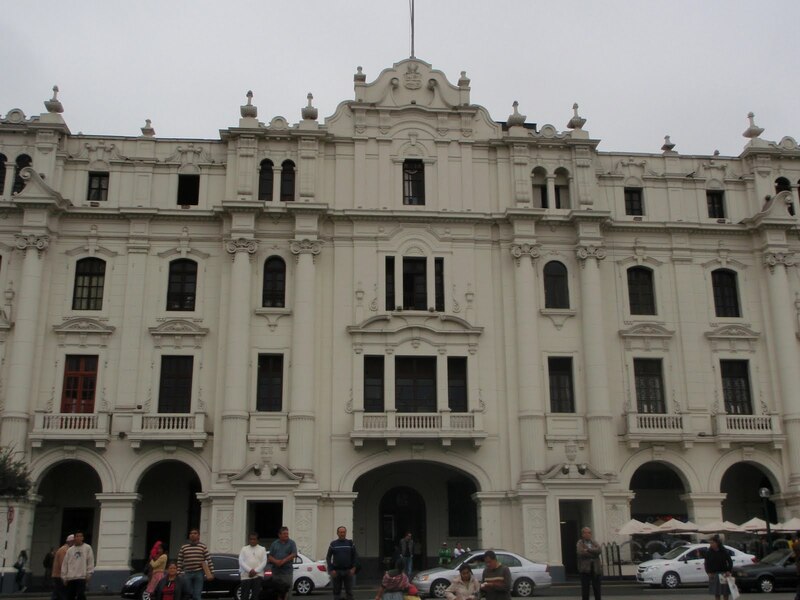 Lima is a city filled with different distinct districts. 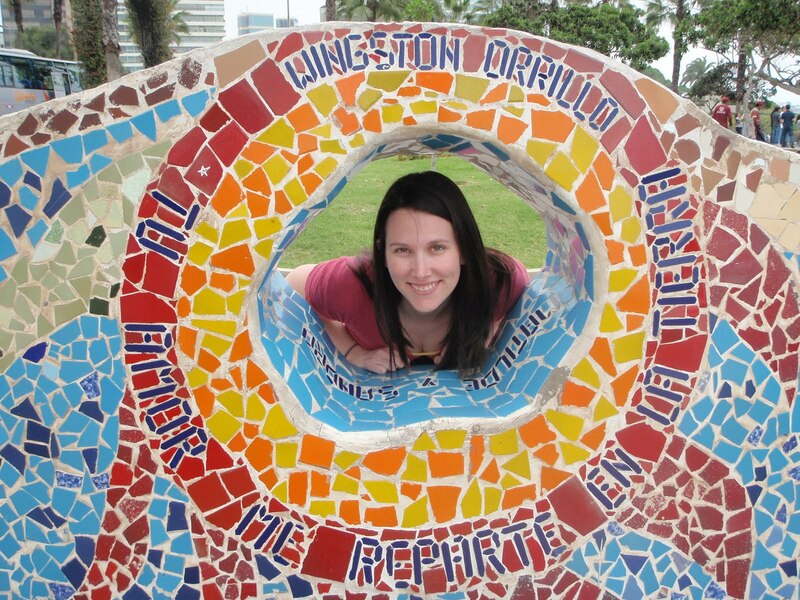 I spent most of my time exploring Miraflores! 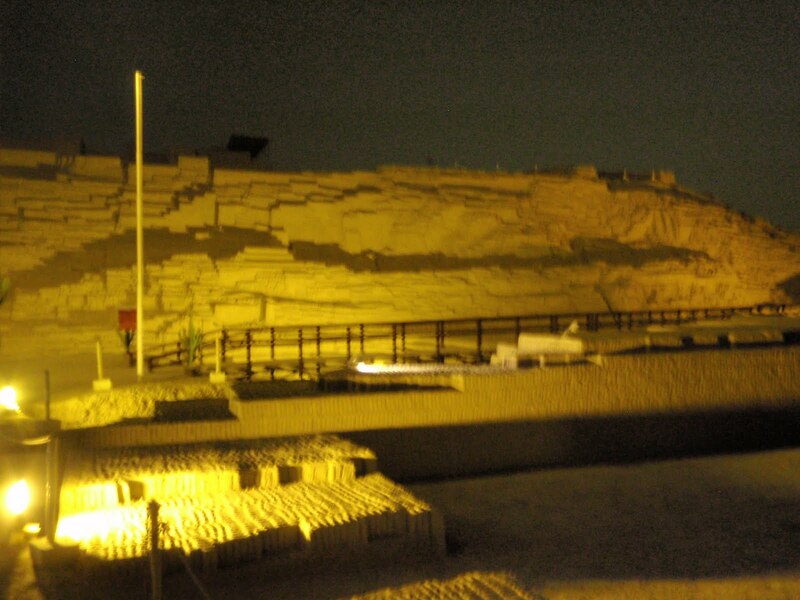 Miraflores is one of the nicest areas of Lima and has a wide variety of restaurants, shops and casinos. I can’t seem to get away from casinos! But the casinos in Lima were small in comparison to Las Vegas and there didn’t seem to be much smoking going on (which i LOVED). My favorite part of Miraflores was LarcoMar. It was an outdoor mall cut out of the cliff overlooking the ocean. So many different shops and restaurants. Lima was very gray while we were there. They seem to have sea fog all the time! But they’re also a desert and claim to be the 2nd driest big city. It was a very diverse city with influences from around the world. The coastline reminded me of California, with the big cliffs and then beach. The waves were also HUGE! I never realized Peru was a big surf spot. 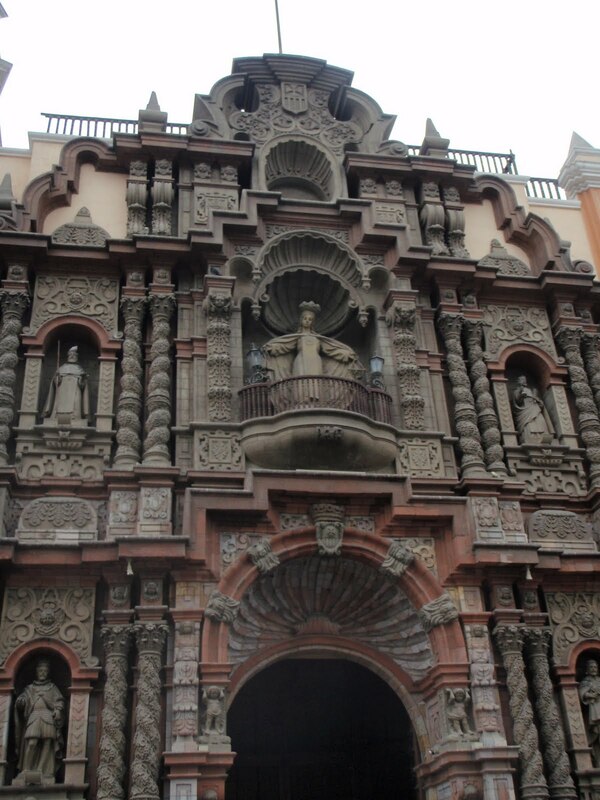 For sightseeing in Lima there is a historic area which is in the Central part of Lima. They have beautiful architecture from the Colonial Period. 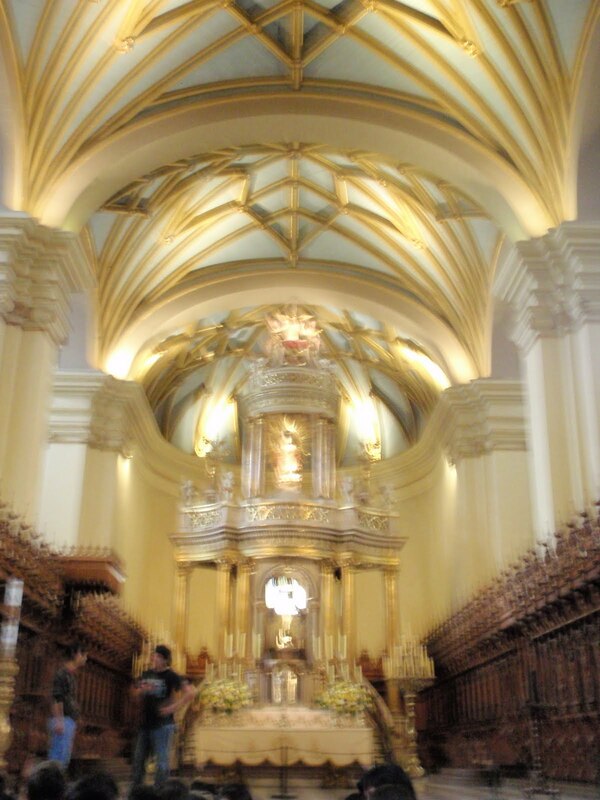 Iglesia de San Francisco- it has catacombs with lots of skeletons! Creepy yet interesting! In lovers park in Miraflores. According to one of our taxi drivers, they had to build large fences near the water because men would throw their lovers over the edge to kill them if the relationship went bad! 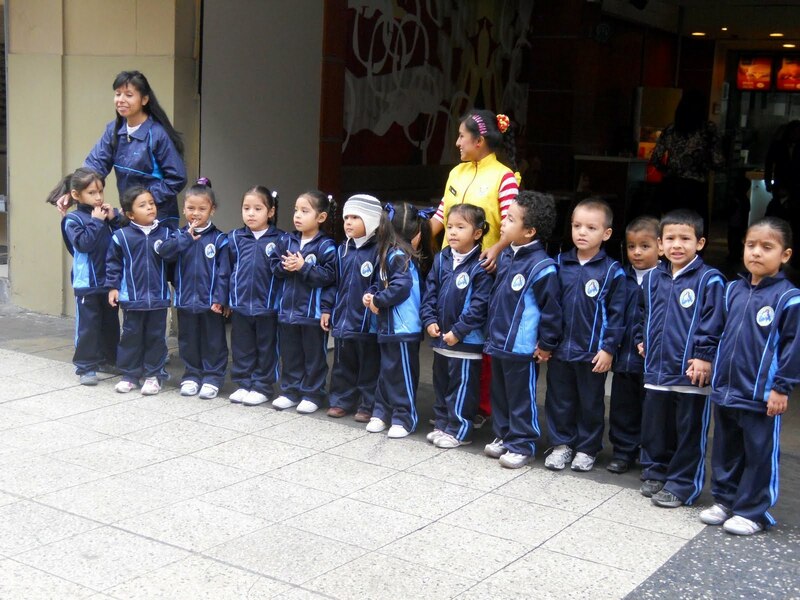 It was Kindergarten Day in Lima when we were sightseeing. They were out celebrating their day! And all the kids in Lima schools wear these cute track outfits as their uniforms! I think I was meant to be Peruvian, cause I would love to wear that to school every day!! The currency is Soles, the best place I found to exchange money was in the Casinos, they had the best rates and its safe. But most restaurants will take US dollars, but taxis only take Soles. Feel free to walk around at night in Miraflores, it was very safe there and there is so much to do. WEAR COMFORTABLE SHOES! I brought my new TOMS with me and they were soooo great to walk around in! Go to the Incan Markets, and BARGAIN! Bring your best negotiating skills! and haggle away! I got a cute winter hat for $3. 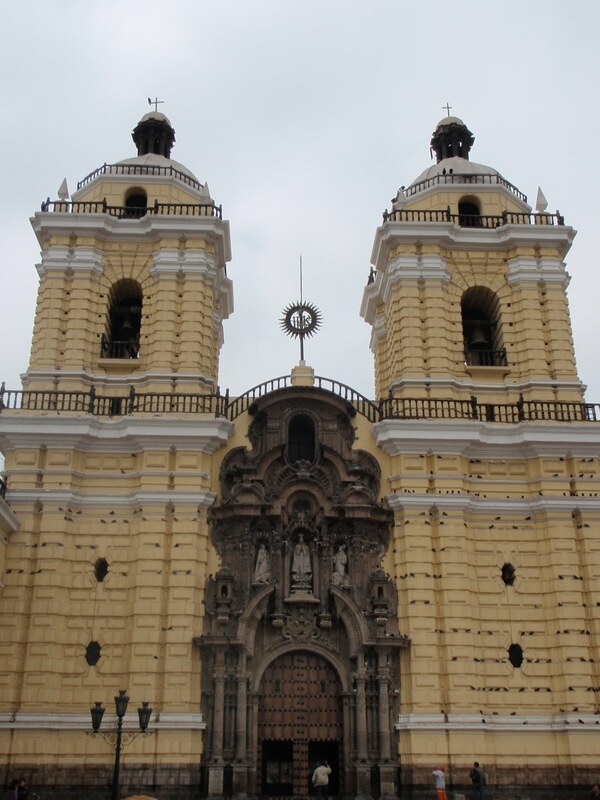 When you go to the more historical areas of Lima be aware of your surroundings and watch out for your valuables. I carried a cross body bag every where I went and put my wallet in a zippered pocket to keep it safe. Drink Cusquena! Its a Peruvian beer that is VERY yummy! !